Genomic selection has been adopted in commercial maize breeding programs for more than a decade, but is still a relatively new tool for most other crops. The approach uses genome-wide DNA markers to predict the performance of individuals and perform selections in a breeding program, prior to expensive progeny field testing. This significantly reduces the length of the breeding cycle, thus can dramatically increase the rate of crop improvement. However, it has limited ability to predict traits with non-additive gene effects and prediction of genotype by environment (G×E) interactions is challenging. Recent developments have highlighted how crop models can be used effectively as an integral part of decision-making in crop breeding programs. The APSIM model has been developed with this specific intent and will form the underpinning technology for this project. The model has already been used in simulation studies to define the nature and frequency of drought environments for wheat throughout the Australian wheat belt. It is hypothesised that successful integration of GS and crop growth models will lead to considerably more accurate breeding protocols. It could improve yield predictions for new environments where the training population has not previously been evaluated, such as other regions around the world or future environments under various climate change scenarios. 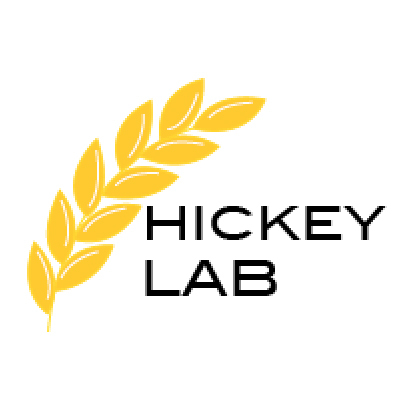 My PhD project aims to build a framework for moving toward more effective prediction-based breeding in wheat using real pre-breeding populations and extensive phenotypic datasets accumulated over the past four years at The University of Queensland, Australia. Use APSIM to characterise environments for pre-breeding trials conducted at UQ over the past four years. Evaluate specific traits and their value to help plant breeders develop more broadly adapted cultivars. 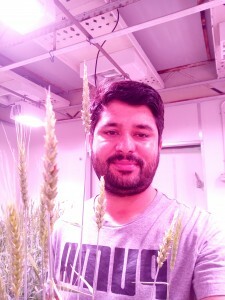 Investigate the ability to predict wheat yield based on stay-green phenotypes and QTL information. Amin A, Nasim W*, Mubeen M, Nadeem M, Ali L, Rehman MH, Hammad HM, Sultana SR, Jabran K, Habib-ur-Rehman M, Ahmad S, Awais M, Rasool A, Fahad S, Saud A, Shah AN, Ihsan Z, Ali S, Bajwa AA, Hakeem KR, Ameen A, Amanullah, Rehman H, Alghabar F, Jatoi GH, Akram M, Khan A, Islam F, Ata-ul-Karim ST, Rehmani MIA, Hussain S, Razaq M, and Fathi A. (2017a). Evaluating the performance of CSM-CROPGRO-Cotton model for phosphorus use in cotton crop under climatic conditions of southern Punjab, Pakistan.Environmental Science and Pollution Research.24:5811–5823. Amin A,Nasim W*, Mubeen M, Ahmad A, and Fahad S. (2018b). Analysis of maximum and minimum temperature of historical (1996-2015) and projected (2030-2060) in Pakistan (Statistical Downscaling Model). Atmospheric Resaerch.https://doi.org/10.1016/j.atmosres.2018.06.021. Amin A, Nasim W*, Mubeen M, Kazmi DA, Lin Z, Wahid A, Sultana SR, Gibbs J, Fahad S*, (2017b) Comparison of Future and Base Precipitation Anomalies by SimCLIM Statistical Projection through Ensemble Approach in Pakistan. Atmospheric Research. 194:214–225.doi: 10.1016/j.atmosres.2017.05.002. Amin A, Nasim W, Mubeen M, Sarwar S, Urich P, Ahmad A, Wajid A, Khaliq T, Rasul F, Hammad HM, Rehmani MIA, Mubarak H, Mirza N, Wahid A, Ahmad S, Fahad S, Ullah A, Khan MN, Ameen A, Amanullah, Babr S, Saud S, Alharby H, Ata-ul-karim ST, Adnan M, Islam F, and Ali QS. (2016). Regional Climate Assessment for Temperature and Precipitation in Southern Punjab (Pakistan) using SimCLIM Climate Model for Different time temporal Scales. Theoretical and Applied Climatology. DOI 10.1007/s00704-016-1960-1. Amin A, Mubeen M, Hammad HM, Nasim W*. (2015). Climate Smart Agriculture-a solution for sustainable future. Agricultural Research Communication.2(3): 13-21. Nasim W*, Ahmad A.Amin A, Mubeen M et al., (2017).Radiation efficiency and nitrogen fertilizer impacts on sunflower crop in contrasting environments of Punjab, Pakistan. Environmental Science and Pollution Research.https://doi.org/10.1007/s11356-017-0592-z. Amin A,Nasim W*, Mubeen, M., Regional Climate Assessment for Temperature and Precipitation in Southern Punjab (Pakistan) using SimCLIM Climate Model for Different time temporal Scales.2ndInternational Balkan Agriculture Congresson May 16-18, 2017 in Tekirdağ, Turkey. Asad Amin*, Muhammad Mubeen, Ashfaq Ahmad, Saleem Sarwar, Peter Urich, Shah Fahad, Saddam Hussain, Hafiz Mohkum Hammad, Mazhar Saleem, Wajid Nasim (2016) Cotton Production under Climate Change in Southern Punjab-Pakistan Based in the SimCLIM and CSM-CROPGRO-Cotton Models. 3rd International Conference on Global Environmental Changes UAF (March, 2016). pp 51.